Allow your favourite cheese to experience the full effect of being under the dome (Stephen King would be proud!) Cheese Domes are a fantastic way to serve up your cheese, which you will no doubt devour after dinner with some crackers for a delicious salty treat. Pair it with a cheese board and some brie or cheddar, and you’re ready for an extravagant affair indeed. Best used with a plate roughly 17cm in diameter. 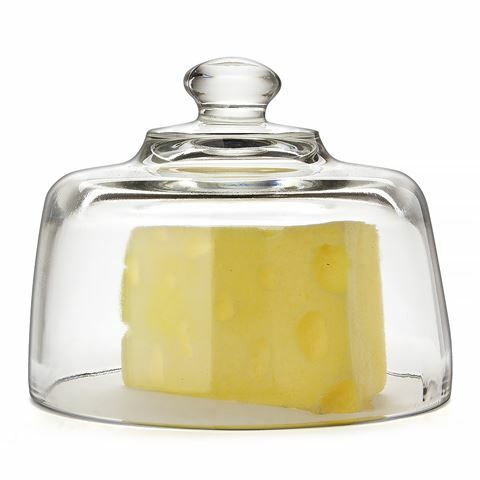 A fantastic way to serve up your favourite cheese. Dimensions: 13cm (h) x 16.5cm (w).